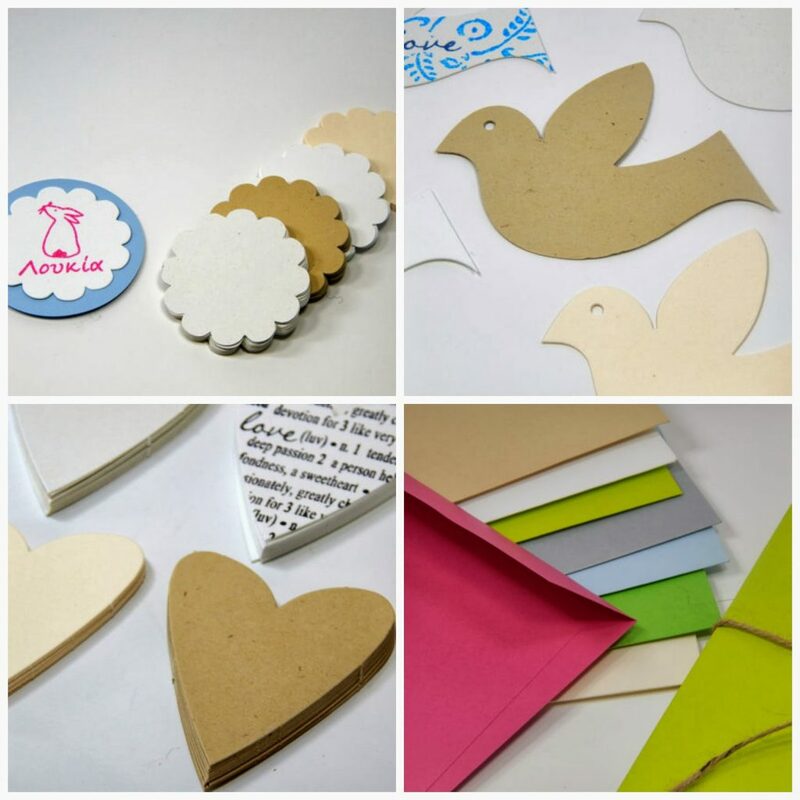 Handmade Love: Sarah the Paper Craft and Stamp Lady!!!! Christmas period is over…yes I know! But I have to say that it was fun preparing the gifts for my beloved and the orders for my shop. And it was fun because I have discovered a new way to create my personal wishing cards and the Thank you cards for EfZinCreations…. something like scrap booking! Christmas mood… cards in red and green with glitter on them. Valentines mood… cards full of hearts. Spring mood (I am preparing them this period)…flowers and bright colors! I could do anything I like! How? ok… I will tell you…because of Sarah from ahueofduckeggblue! Yeap, a great new friend from etsy. She had already created for my shop a custom olive wood stamp, which I truly love! But also checking her shop is really amazing how many new paper crafts you can do for yourself, your business, your wedding, your friends. Too many ideas, too many colors, too many patterns! I love her shop and I love her work! It is just great that you can give a personal touch in your wedding with a wishing cards designed just for you and your hubby. Or organize your kid’s birthday party and add a really special note to cupcakes or party’s decoration! Just use your imagination and Sarah will create anything for you! Ok… I have to stop… Please let me introduce you Sarah… The Paper Craft and Stamp Lady!!! I’m Sarah, originally from the UK and I’ve been living in Greece now for more years than I care to remember! I became a stamp maker after being a keen stamp user living in a country (Greece!) where it was, at one point, almost impossible to buy nice birthday cards to send home to family and friends – therefore I decided to make my own and got myself some great stamps from the US to help me out. I then got into scrapbooking via stamping. I loved the versatility of a handful of stamps and ink pads – I added a few embellishments: stitching , buttons, ribbons, but the stamp work was the main attraction. One thing lead to another, and as I had a job that meant I was away from home most of the day, I though it was up to me to make the change enabling me to be at home with my 3 children more. 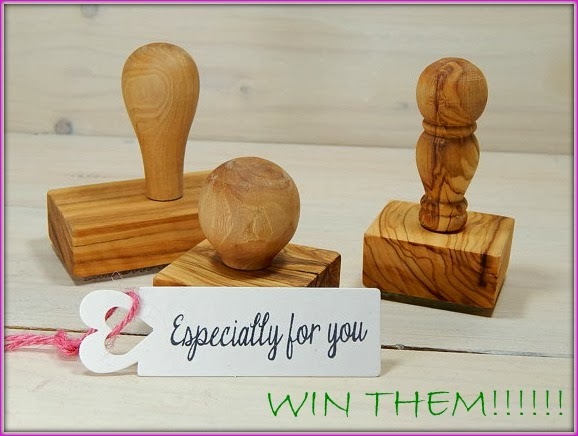 So, I did just that – I decided to develop my passion and instigate designing and making my own stamps, I also loved the idea that my stamps could be mounted on beautiful olive wood, which is of course abundant here. I am around more to participate in family goings-on, but still there are not enough hours in the day! However, I have a great feeling of satisfaction from my turn in career, doing things at my pace and most of all loving what I do. The great handmade community on sites like Etsy is the cherry on the cake with doors opening in ways you can’t imagine. I love the fact that stamps lend themselves to so many occasions: parties, weddings, business, craft projects and so on… I’m never short of an idea and am currently working hard to make stamps better known in Greece where the word stamp still mostly only conjures up the red-tape variety! Thank you Sarah! It is beautiful to know something more about you! 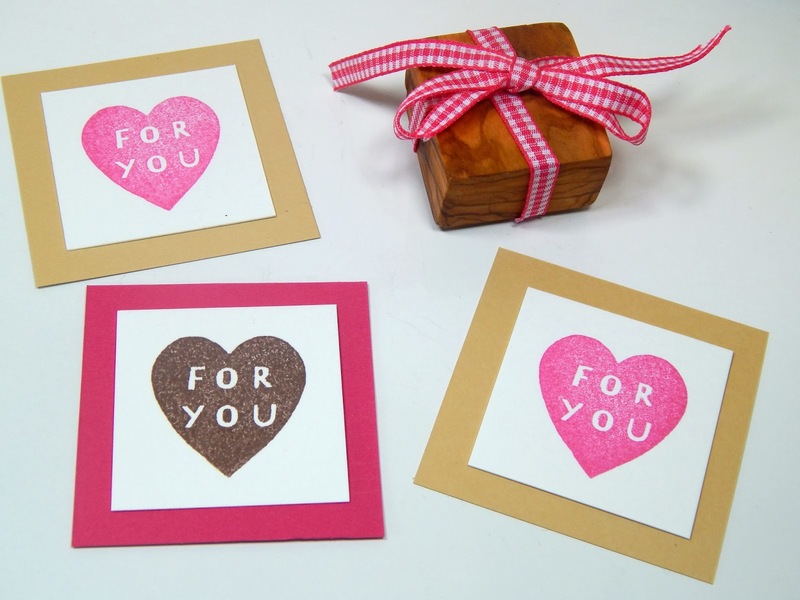 Sarah was really kind to offer a gift from her collection to one lucky lady or gentleman, a custom stamp up to the value of $22.50 designed just for you!!!! In order to have the chance to win, just use the Rafflecopter below and earn more entries. Winner will be announced on the 28th of January. P.S This Giveaway is also sponsored by jaba , kerdiseto , ediagonismoi and by e-contest. I adored the round stamps, like the one with the wooly sheep! I wish you many sales! Φανταστικός διαγωνισμός! πολύ θα ήθελα να την κερδίσω! I love your work! Allready have a stamp in my collection! for sure these stamps are very useful and beautiful! Love all of Sarah's stamps! I wish I could win one! The stamps are absolutely adorable!! I always admire people who take the risk and turn their hobby into their profession. Keep up the great work, both of you! 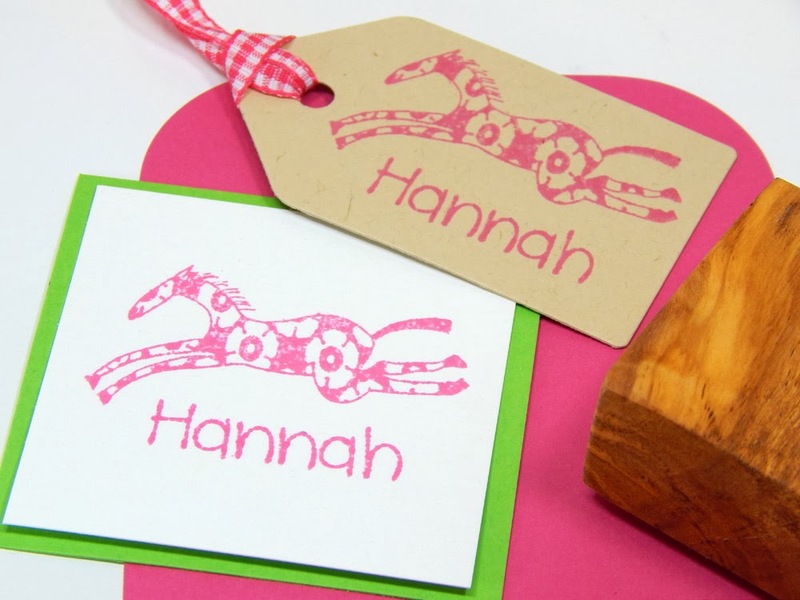 I love the embellished name olive wood stamp! Gorgeous lettering. I loved all the sea themed stamps especially the mosaic fish stamp.AriadnefromGreece! I like the Custom Busy Beehive Olive Wood Business Stamp. Πραγματικα ολα ειναι τοσο ωραια που δεν ξερω τι να πρωτοδιαλεξω! I'm a fan of the VW Camper Van Return Address Stamp on Olive Wood. I love the VW Camper – old skool retro! 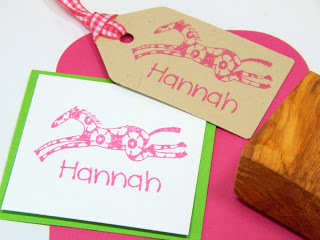 I love the Hippo and Feathered friend stamp- so cute! I really like the cute hedgehog olive wood stamp. The running fox stamp is beautiful. I love the On My Old Typewriter Return Address Olive Wood Stamp. Είναι όλα μοναδικά!Μακάρι να κερδίσω! It's hard to choose just one. I love the tom cat and lady friend stamp. Too cute! I like Large Snail Mail Stamp. 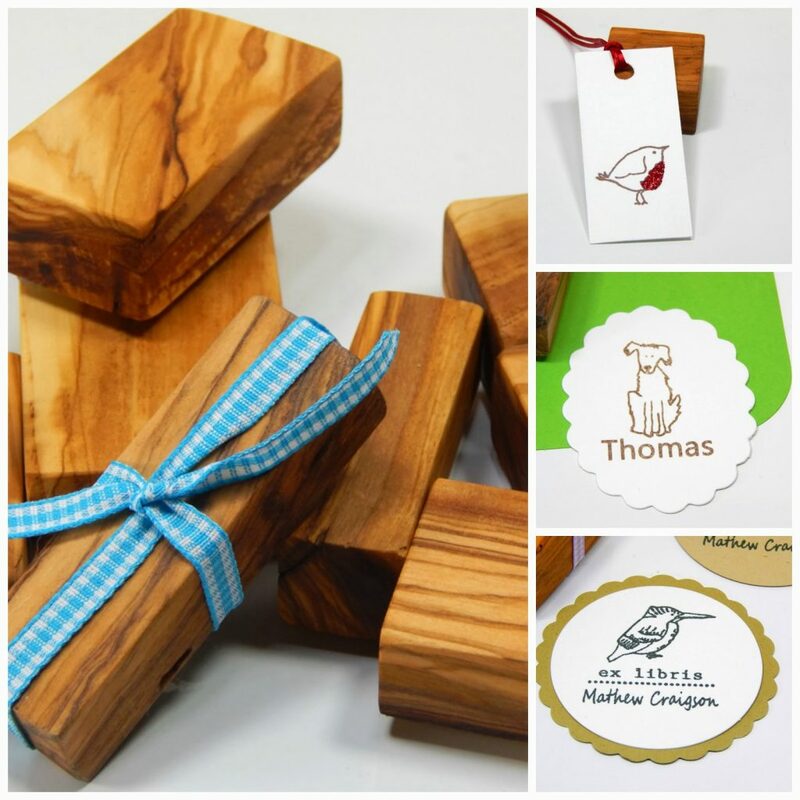 The olive wood stamps are just amazing! Just wonderful!!! Very nice idea, congratulations Sarah! Love the Mason Jar Olive Wood Stamp. It's adorable! I would really like to add another stamp in my handmade must-haves! My shop stamp is from Sarah's shop and I love it! Come to think of it I was the one to tell you about her shop! That should give me at least 3 more entries not to say the winning stamp by itself!!!! You hear??? Thanks for the giveaway! I love her little owl stamp! First: your store is really lovely! I liked the Large MEMENTO raised dye ink pads. Thanks for the chance to win! I love the little hedgehog stamp. So cute. I like the Dot Oval Return Address Olive Wood Stamp! Very cute! I just love all of the stamps. How could anyone ever choose one? 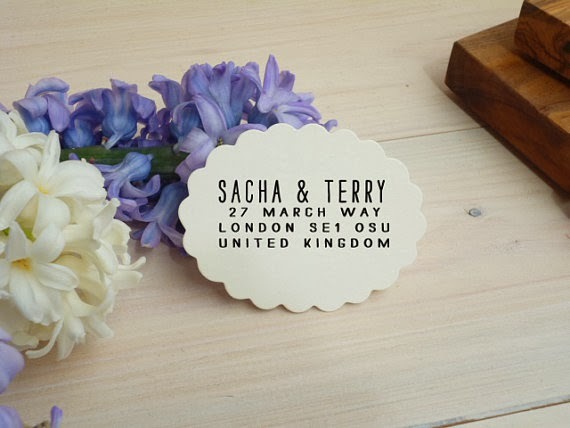 I like the olive wood return stamp with the flower embellishment. Thanks for the chance. So many cute stamps. I love the doodle frame business one.. ahhh! https://www.etsy.com/listing/97673401/custom-3-little-fish-olive-wood-stamp?ref=shop_home_active_49 so cute! Good luck!!! I love the duo font return address stamp! I love the bunny with butterflies, though I'm not sure if that's what I'd choose. I like everuthing! I can't choose! This one is really nice https://www.etsy.com/listing/62788177/acorn-christmas-tree-olive-wood-stamp?ref=shop_home_active_12 but I'd liek more time to choose! I love all those feminine designs of olive stamps. Those with flowers or daffodils.. super cute! So cute! I love the on my doorstep set! Oh these are splendid!! I hear the "made with pure love stamp"!! Thanks for the sweet chance!! 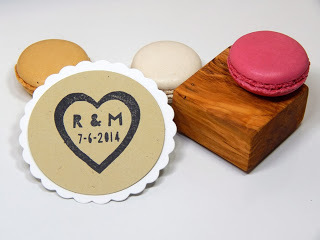 I love the Custom Flower Cluster Olive Wood Stamp. I love the ability to create my own stamp! I like the Tall Flower Olive Wood Stamp and Chubby Mouse one too! Not long to go now – who will the winner be?! I like the custom grinning giraffe. The Mason Jar Olive Wood Stamp is cute.